New research from MerchantCircle reveals local merchants flocking to simple, free marketing methods such as social media sites, are slow to adopt mobile marketing and group buying. 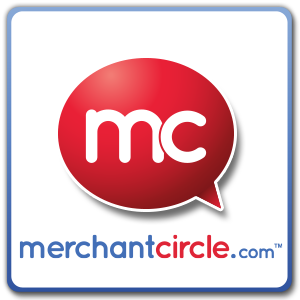 Mountain View, CA, February 15, 2011 — MerchantCircle, the largest online network of local business owners in the nation, today shared results of its quarterly Merchant Confidence Index survey of over 8,500 small and local business owners across the U.S. The data reveals that local merchants, who have very limited time and money for marketing, are gravitating towards simple, low-cost online marketing methods such as Facebook and other social media, as well as towards tried-and-true methods such as search and email marketing. The research also demonstrates that while new marketing services such as mobile marketing and group buying are generating significant buzz in the media, local merchants have yet to tap these unproven marketing methods. (1) Local businesses have little time or budget to devote to marketing. According to the MerchantCircle survey data, more than half of local merchants are spending less than $2,500 a year on marketing, and 60 percent have no plans to raise their budgets this year. These merchants are also price-sensitive: one quarter of merchants cite high costs as their chief complaint about online marketing (26 percent). Many merchants are also struggling to manage their existing programs and don’t have time to take advantage of new, unproven services, with lack of time and resources the top online marketing challenge for more than one third of merchants (37 percent). (2) Social media are now the top marketing strategy for local businesses. With its huge consumer adoption, ease-of-use and low barrier to entry, Facebook continues to be a popular way for merchants to market their business, with 70 percent using the social network for marketing, up from 50 percent one year ago. Facebook has now surpassed Google (66 percent) as the most widely used marketing method amongst local merchants, and is almost tied with Google search (40 percent) as one of their top three most effective marketing methods, with 37 percent rating Facebook as one of their most effective tools. Facebook Places has benefited from this high level of adoption, soaring past Foursquare to reach a 32 percent current usage rate, with an additional 12 percent citing plans to use Facebook Places in the coming months. While Foursquare’s usage is up from just 2 percent one year ago, use of the location-based service has remained steady at about 9 percent over the past two quarters. Twitter has also grown in popularity over the past year, with nearly 40 percent of local merchants using the microblogging platform to build awareness and community around their products and services, up from 32 percent in Q4 2009. (3) Tried-and-true online methods trump new, unproven approaches. With little time and budget to devote to marketing, local merchants are slow to adopt unproven technologies such as mobile marketing and group buying and are relying on more familiar methods that have delivered results. Three of the top marketing methods for local businesses — social, search and email — are also cited as being the most effective, with 36 percent putting social networking in the top three, 40 percent citing search and 36 percent choosing email marketing. In spite of the hype around mobile marketing, less than 15 percent of merchants report doing any sort of mobile marketing or advertising, and more than half have no plans to do so in the coming months. Lack of understanding remains a huge barrier to adoption: 74 percent of merchants state that they don’t have a good idea of how to reach consumers via mobile marketing. Group buying will also take time to penetrate the local market. Only 11 percent of local merchants have offered a “daily deal” using a service like Groupon or LivingSocial, with an additional 20 percent planning to do so in the coming months. Results of group buying have also been mixed and may be hindering growth: 55 percent of people who have run a daily deal campaign said they would not do so again. (4) Use of traditional offline marketing methods continues to decline. Traditional offline marketing methods continue to decline across the board. Over the course of 2010, use of print advertising dropped by 33 percent (from 40 percent usage to 27 percent); use of print Yellow Pages declined 18 percent (from 45 percent to 37 percent); and use of direct mail decreased 26 percent (from 39 percent to 28 percent). Don’t expect these methods to disappear anytime soon, however, as many continue to deliver results for local merchants. 24 percent say that coupons or direct mail are still one of their top three most effective marketing tactics, 23 percent say print Yellow Pages are a top three tactic, and 20 percent put print newspaper ads in the top three as well. (5) Online marketing services companies are aggressively targeting local businesses. Despite the fact that local merchants have very little budget for marketing, online marketing services companies are working hard to reach and serve this market, often with a direct sales force making cold calls. MerchantCircle’s research reveals that 51 percent of local merchants get at least one online marketing sales call a week, with 10 percent getting called almost on a daily basis. The Merchant Confidence Index is a quarterly survey conducted by MerchantCircle, the largest social network of local business owners in the U.S. with over 1.6 million members. The Index is designed to track trends in small business sentiment over time and is derived from four key questions designed to synopsize the prevailing trends among local business owners. The overall index score is based upon a standardized five-level Likert scale. 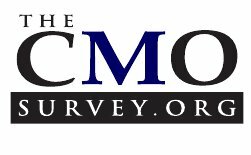 This fifth Merchant Confidence Index survey was fielded online, between January 22nd and February 3rd, 2011, and sent to a random sample of MerchantCircle’s member base of over 1.6 million local business owners. There were 8,456 total responses from local business owners across the United States. Responding businesses classified themselves as legal and financial services, automotive, health and beauty, entertainment, travel and more, with 75 percent of respondents having less than 5 employees. The survey data can be broken out by state, business type or business size (by headcount) upon request. No incentive was offered to complete the survey. To read the full survey and its results, please visit www.MerchantCircle.com/corporate/blog. • Fill skill gaps. Since media is increasingly fragmented, communications programs are more complicated. You can’t be an expert in every medium and understand the needs of each of your target audiences if your products are sold across vertical industries or have key purchase influencers from several departments. • Reduce overhead. You don’t need to hire an individual or team for a specific program. Just outsource an expert. That way you don’t bear the hidden costs of recruiting, training, furnishing an office, and employee benefits. Salary is just a fraction of employment costs. • Eliminate bias and leverage a broader, different perspective. Outsourcing eliminates the “We’ve always done it this way” mentality. You can access the strategic thinking and creative expertise of a marketing professional free of internal political baggage. • Improve your focus. Outsourcing helps you to focus on the core competencies of your business. Talk to your customers or your sales team. You can then provide strategic, insightful direction and play to your strength. You’ll help to reduce your risks and maximize the return on investment in your marketing programs with input from the front line. • Jump-start your marketing instantly. Outsourcing gives you access to experienced marketing professionals who can quickly develop plans and campaigns on the tightest of schedules. You can just say “Run with it” and start focusing on the crush of your other competing priorities. I asked top marketers to report how much they expected their companies to outsource marketing in the next 12 months. This percentage has grown over time as shown in Figure 1. In fact the last measurement, taken in August 2011, grew by over 100% over the prior year! Why do companies outsource marketing? Companies don’t have the expertise to perform key marketing tasks. Companies don’t think the benefit of building knowledge and skills is better than the value they get from an expert partner performing that same task. Companies can’t produce the same function at the same low price as they can buy it in the open market because the provider has scale, scope, and experience (and perhaps cheap labor?). Companies prioritize other strategic areas more highly than doing marketing internally. Companies want a new point of view. It is easy to stop learning when you are stuck listening to the same colleagues every day. An external partner can offer important insights. Companies don’t understand the value of marketing. What are the costs of outsourcing marketing? Customer costs: Managers lose sight of customers and what the firm is doing in the marketplace. They spend a lot of time on inventory, balance sheets, analyst conference calls, or building plants. This turning inward can be tragic in some cases. Control costs: Coase and Williamson both won Nobel prizes in Economics for their study of transaction costs, which are those costs the firm must control, contract, and incentivize away to ensure partners act as its agent. When a company chooses to “buy” its marketing services and not “make” them itself, the challenge is to ensure the relationship produces value. Objectivity costs: No marketer wants to be fired for sharing bad news about the value of a strategic decision or initiative. This can make it tougher to be a truth teller if you are providing marketing from outside the boundary of the firm. Risk costs: Partners may take more or less risk than a firm would take given they are not responsible to shareholders, employees, and customers in the same way managers are. Path dependence losses: A path dependence means that experience matters. The down side to path dependencies from marketing experience is that firms get locked into their own habits and routines. However, the upside of path dependency—grinding out the knowledge and efficiencies that come from learning by doing over and over and over again—is not realized either. These positive path dependencies can make it difficult for competitors to jump in because the firm is so good at what it does. Is your firm outsourcing marketing? How is the calculus of these costs and benefits working out? Any suggestions on how to tip the scales in the favor of benefits? I’ll share more next week on who is outsourcing. In the mean time, jump in and share your view. Outsourcing is becoming increasingly popular in the not-for-profit sector as it allows associations, charities and other not-for-profit organisations to benefit from the expertise of specialists when they need them and at rates they can afford. Outsourcing refers to contracting the skills of a company to fulfil an organisation’s needs and allows them to take advantage of experts that they do not have, or cannot afford, internally. This may include marketing, graphic design, organising conferences and events, secretariat services, publishing, marketing or finance. Outsourcing is a cost-effective way for not-for-profit (NFP) organisations to achieve their organisation’s goals and keep within their budget. Findings from The Outsourcing Institute’s most recent study, which surveyed 1,410 members, found that reducing and controlling costs is the most common reason organisations choose to outsource. With a limited budget NFPs often can’t afford five or more employees to fulfil their organisation’s marketing, graphic design, editorial, secretariat and event needs; and it’s difficult to find one person with skills in all of these areas. However, outsourcing allows NFPs to draw on the skills of specialist departments with differing areas of expertise for often less than the cost of hiring one internal employee. Depending on a NFPs needs outsourcing can be the equivalent of employing ten specialists for less than the price of one. Not only is outsourcing more cost effective than hiring staff internally, it can also result in a great level of efficiency. With access to teams of experts in a range of fields, organisations can enjoy a more professional standard of work, which can improve efficiency, the image and reputation of the organisation, and increase member/donor support. The Outsourcing Institute’s research shows that the second most common reason organisations outsource is that it allows them to focus on their key objectives, which can increase their effectiveness and improve member/donor satisfaction. Outsourcing allows an organisation to focus on what is most important to the running of their association, society, institute or charity – whether it is advocacy, governance, pleasing members or fundraising. Additionally, outsourcing allows NFPs flexibility which is not achievable when hiring someone internally. Outsourcing allows organisations to access professionals when and only for as long as an organisation needs them. “Without sounding gratuitous, the services provided Third Sector Services are both professional and friendly, and very flexible,” admits Bondar. By decreasing costs, improving the quality of an organisation’s offerings and allowing NFPs to focus on their core objectives, outsourcing is expected to continue to rise in popularity as the smarter choice for NFPs. Some companies don’t need a reason to outsource to the experts in their field. Others feel that they can get by in their mission by keeping matters in house. All that being said, if you would like your business or organization to achieve more in any of the tasks listed below, you should consider outsourcing to the experts! 1. To improve company focus. Outsourcing sets up a framework that an outside expert assumes responsibility for. That leaves management free to focus on more important business issues related to customer service and marketplace demand. 2. To obtain world-class capabilities. 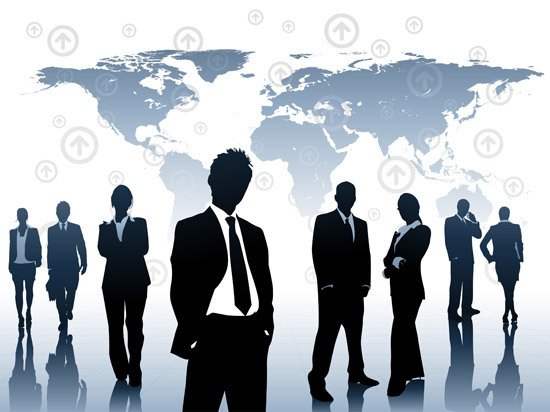 Because of their specialization, outsource providers bring an extensive skill set into the corporate environment. Such leading edge technology and expertise helps companies better satisfy customers and increase productivity. 3. To accelerate re-engineering benefits. Organizations realize the benefits of re-engineering more quickly if they contract with an outside organization that is itself already re-engineered to state-of-the-art standards. 4. To share risks. Outsourcing enables management to turn over to its suppliers certain risks, such as demand variability and capital investments. Unlike the buyer, the outsourcing provider can spread those risks over multiple clients. 5. To free up corporate resources. Outsourcing permits an organization to redirect its resources from non-core activities to ones that have the greatest impact on business performance. 6. To make capital available. Contracting out certain functions as operational expenses can reduce the competition for capital, since the outsourcing entity provides the capital investment as part of its overhead. 7. To obtain a cash infusion. Outsourcing can involve the sale of assets to the provider, typically as a combination of cash and a loan. 8. To control operating costs. Access to an outside provider’s lower cost structure is one of the most compelling reasons for outsourcing. 9. To obtain resources not available internally. Outsourcing is a often viable option for companies experiencing rapid growth, expansion into new geography or spin-offs from the parent company. 10. To deal with management or control problems. Control problems are often cited as the reason for outsourcing. However, the underlying cause, such as unclear expectations or difficulty in measuring performance, is often not solved by outsourcing. Most companies already outsource a portion of their marketing function—advertising. But what about direct-mail management, lead management, or customer analytics? Increasingly, expertise in these and other marketing areas lies outside your own walls. And that is why more and more companies are turning to marketing partners. Harvard Business School professors Gail J. McGovern and John Quelch documented the trend in an article in the March issue of Harvard Business Review. One reason behind the move? While company marketing departments have plenty of talented right-brain, creative types, they may lack the left-brain analytics needed to better understand their customers in today’s information-rich environment. Besides, argue McGovern and Quelch, outsourcing marketing can lead to better quality and lower costs. McGovern offers a unique perspective: Before joining the HBS faculty in 2002, she was president of the Fidelity Personal Investments unit of Fidelity Investments, serving 4 million customers with $500 billion in assets. She answers our questions in this e-mail Q&A. Poping Lin: We are familiar with the benefits of outsourcing various corporate functions, but the idea of outsourcing marketing, at least beyond advertising, seems relatively new. Can you discuss this concept and the potential benefits to businesses? Gail J. McGovern: The outsourcing of marketing activities is catching on; in fact, in a recent poll of marketing executives, 53 percent reported plans to outsource most of their marketing activities. The benefits to business include cost savings and improved quality. Additionally, many firms lack “left-brain” analytical skills in-house, even though those skills are becoming more important than ever in an age of one-to-one marketing, and find that outside expertise is often needed. Sony, a legendary marketer, outsourced its program to market products through its online “Sony Style” store, recognizing that they needed expertise in areas such as customer database construction. With media fragmentation, such decisions will become far more common, because companies can no longer rely on mass marketing to reach prospective customers. Communication tasks have become much more complicated, and therefore more dependent on computer-aided analysis. Q: What marketing functions should and should not be outsourced? A: Companies stand to benefit considerably by outsourcing, for example, analytical functions to qualified suppliers if those skills are lacking in-house. But some aspects of marketing are less amenable to outsourcing—those that directly drive marketing strategy. While computers are important, the CEO and top managers still need to meet regularly with customers. Companies need chief marketing officers to drive marketing strategy and make the most of the company’s customer relationships. And companies still need flesh-and-blood employees to win and service major accounts. Q: What is the role of the head marketing executive who oversees an outsourcing program in his or her department? A: The skills required of the marketing manager are rapidly changing. Today, managers are like ringmasters in a circus; they must understand how to access the skills they need, since in practice they are relying on a variety of in-house and outside suppliers to get the job done. Q: What are the keys to consider in successfully managing outsourcing relationships? A: Marketing managers need to nurture ongoing relationships with outside suppliers. The best outsourcing arrangements are partnerships. Suppliers should not be regarded as mere contractors, since contractors do not always perceive a long-term stake in the project’s success. The value created should be seen as shared value. Managing suppliers in this way requires a great deal of skill and competencies that are not always resident within a firm. This challenge requires negotiation and communications skills as well as a strong ability to project manage several elements of various marketing campaigns. Q: Is there a tie between outsourcing marketing and the increased global outsourcing we see in other functions? Will offshore marketing be next? A: There are some strong connections. Motivation, for one. Companies in general turn to outsourcing as a means of saving money while accessing the skills they need, whether it’s marketing or IT services. As companies have become more comfortable and familiar with outsourcing arrangements, they’ve become willing to trust outside suppliers with business functions that, until recently, have not been outsourced. A: I am exploring board governance issues, specifically the role that boards should play in ensuring the effectiveness and efficiency of the marketing function in a firm. Poping Lin is a business information librarian at Baker Library, Harvard Business School, with a specialty in marketing.